Dr. Hanns LochmüllerDr. 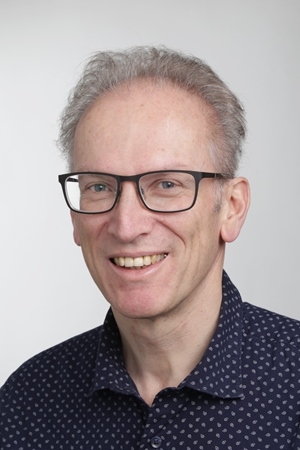 Hanns Lochmüller, a neurologist and senior scientist recently recruited to CHEO Research Institute from the U.K., has now also been appointed as an associate scientist in the Neuroscience Program at the Ottawa Hospital Research Institute. Dr. Lochmüller aims to translate discoveries made in his lab into better treatments for the patients he sees at CHEO and at The Ottawa Hospital’s new Neuromuscular Centre. A specialist in genetic neuromuscular disorders and rare diseases, he wants to understand how small variations in the genetic code lead to these diseases. His research interests include how these disorders develop at the molecular level, identifying possible molecular therapies, and data sharing between neuromuscular and rare diseases researchers. His team is involved with patient registries, genomic databases and clinical trials. He is also internationally active in rare disease science policy and research networks. Dr. Lochmüller is also a professor at the University of Ottawa.